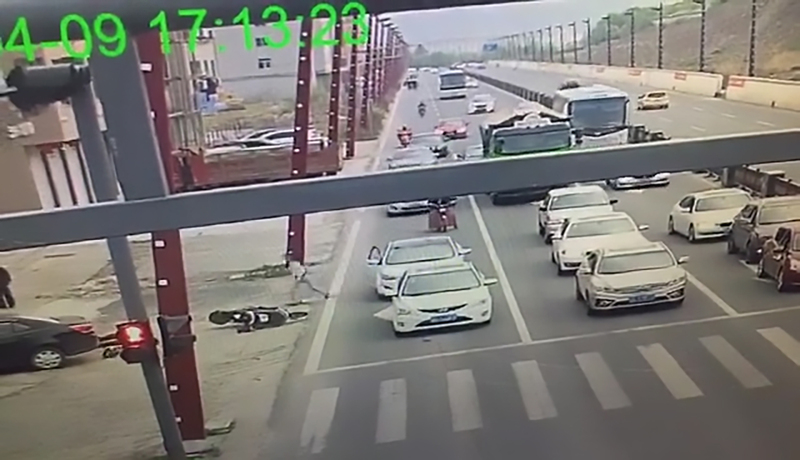 This is the moment a rider is sent flying off his scooter by a bungling woman who opens a car door without checking and causes him to crash right into it. 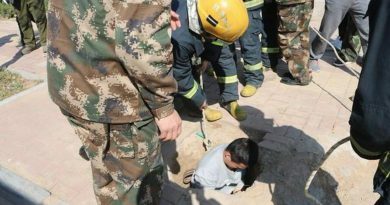 The painful accident, which has left the owner of the electric scooter with serious injuries, happened in the town of Hengdian in the coastal Dongyang City in East China’s Zhejiang Province. Traffic camera footage dated 9th April shows several cars stopped at a red light, with riders passing to their right. The victim approaches the right side of the white saloon car when the front passenger-side door suddenly swings open. 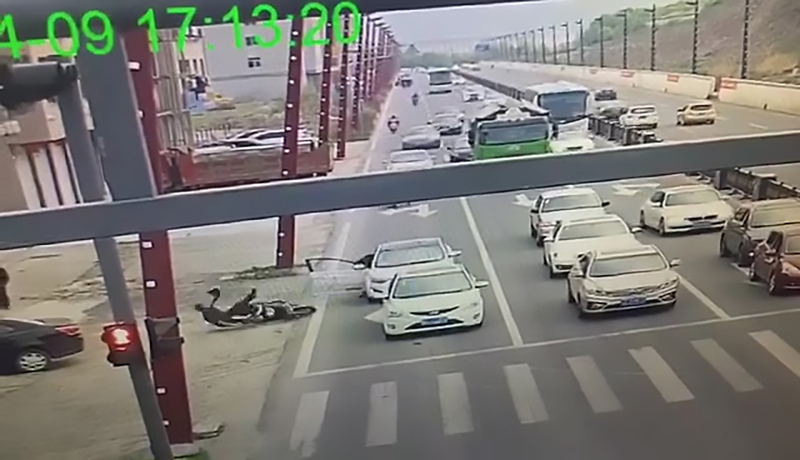 The rider, who has no time to brake, slams right into the metal door frame and is launched sideways off his scooter, rolling several feet away onto the ground nearby. The shocked woman can then be seen running out of the car to check on the victim, who police say was taken to a local hospital for emergency treatment. The scooter rider was still hospitalised at the time of writing. The authorities said the woman had been given a lift home from work by a coworker and opened the car door when she reached her destination. 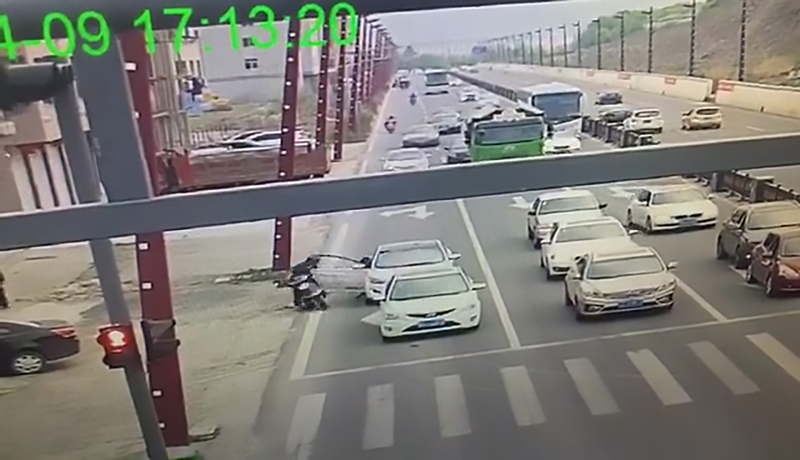 She failed to check for approaching vehicles, resulting in the accident. Neither the rider or the woman has been named as further investigations continue.